Get out your fitness trackers...it's all about those steps this week! STEP 1: Get your fitness tracker. STEP 2: Take a look at your calendar and do a little pre-planning. See where you can walk to meetings or meet a friend for a walking date or coffee break. The challenge is to get in 10,000 steps everyday this week. If you already get that, aim for at least 2,000 more steps than usual each day. AND KEEP DOING WEEK 1 & 2 & 3's Challenges (stand more + keep drinking water + exercise in the kitchen! )...Continuing to do these things will help you create healthy habits and a personal fitstyle! Take a screenshot or a pic of your step count showing 10,000 steps or more and post it in the facebook group OR email it to me by Friday (2/9)! I'll draw a name from the submissions. The winner will get to step out in this Fitstyle by Shana baseball cap! GET 10% OFF: Use promo code 'MOTIVATION' for 10% off any purchase at fitstyebyshana.com until 2/12/17. 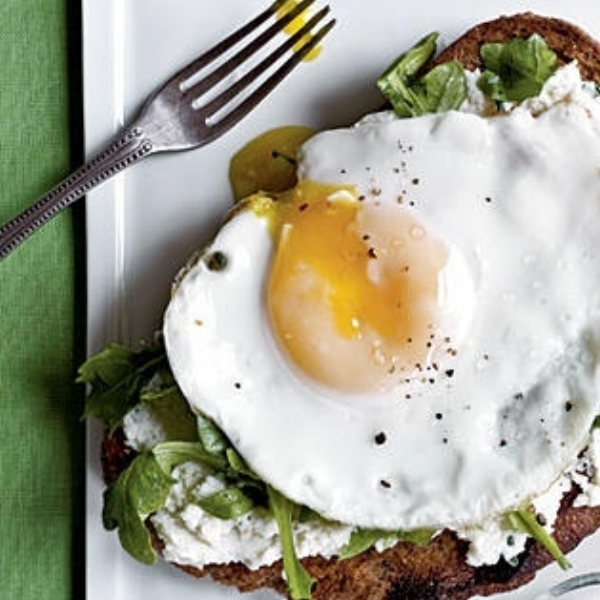 An alternative to avocado toast, the OPEN-FACED SANDWICH with ARUGULA, RICOTTA, and a FRIED EGG. Try this. This is one of my fav crockpot recipes. It's as easy as it is tasty! Pasta and you get in your veggies! Try this. You have to double bake these, which means time for that cookie baking workout :) HONEY PISTACHIO BISCOTTI, yummy! Try this. Want to keep the text messages going? This is the last week of text messages. Oh no! But don't be sad. You can keep them going! Sign up for the Fitstyle Starter. Learn more. Keep the conversation going on social.